Living as a refugee in Hamburg Jump to media player With 39,000 refugees living in Hamburg, Newsbeat asked 15-year-old Fleming to find out more about the experiences of being a migrant in the German city. Why Soweto's history matters so much Jump to media player Two School Reporters explain some of the history of Soweto, which is not only their hometown but also that of Archbishop Desmond Tutu and former South African President Nelson Mandela. Mexico students size up Trump wall plan Jump to media player School Reporters from Mexico examine what affect US presidential candidate Donald Trump's plans for a wall along the US border would have on their fellow citizens. Battling against air pollution in Delhi Jump to media player School Reporters at the Gandhi Memorial Public School in Delhi investigate the effects of an increase in air pollution in their city. Breaking down barriers in Jerusalem Jump to media player School Reporters at Jerusalem's Hand in Hand school in Jerusalem explain how building friendships and breaking barriers are key to Arabs and Jewish children learning together. How to succeed in sport: The view from Rio Jump to media player School Reporters from Juan Antonio Samaranch School in Rio de Janeiro look at what you need to succeed in the world of sport. 'You have our love': A message to Damascus Jump to media player Students from Oaklands School in Tower Hamlets speak to Secretary of State for International Development Justine Greening about Syria. With 39,000 refugees living in Hamburg, Newsbeat asked 15-year-old Fleming from Helene-Lange Gymnasium to find out more about the experiences of being a migrant in the German city. This was produced in March 2016 as part of BBC News School Report. 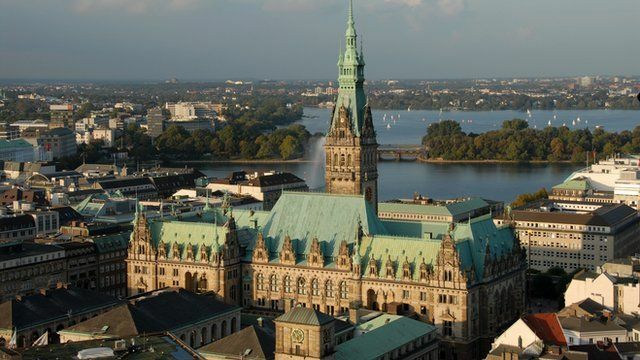 Listen to the special BBC School Report and World Service documentary Destination Hamburg on iPlayer.